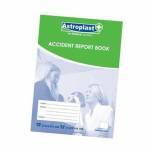 Wallace Cameron Accident A4 Report Book 5401016 Pack of 1 Data protection compliant accident book ensures employees details are kept confidential. Contains 50 forms. 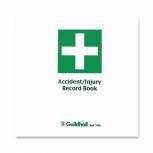 Wallace Cameron Accident Report Book 5401015 Pack of 1 Data protection compliant accident book ensures employees details are kept confidential. Contains 50 forms. 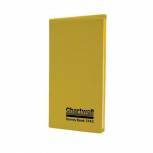 Chartwell Weather Resistant Level Book 192x120mm 2426 Pack of 1 Chartwell Survey Book 7. 5x4. 75 Inches 2426 Level books have medium brown print. Field books are ruled with two red centre lines without feints. Dimension books have ruled blue lines and are numbered 1-up each opening. 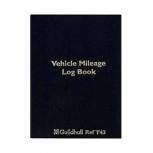 Guildhall Vehicle Mileage Log Book T43 Pack of 1 Guildhall Vehicle Mileage Book, records the mileage for one vehicle. 60 leaves per book with 14 entries per opening. Leaf size 104x149mm (4x5.25). Colour - Black. 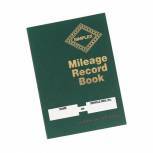 Simplex Mileage Record Book MRB Pack of 1 Add your name or vehicle registration on the front cover. Made from 100% recycled paper. Designed for day to day records. Keep business and private mileage separate. Keep track of fuel and other costs. 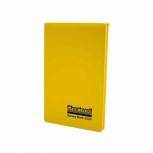 Chartwell Weather Resistant Dimensions Book 106x205mm 2142 Pack of 1 Chartwell Survey Book 4x8 Inches Dimension 2142 Level books have medium brown print. Field books are ruled with two red centre lines without feints. Dimension books have ruled blue lines and are numbered 1-up each opening. 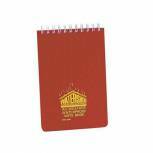 Chartwell Ruled Watershed Waterproof Book 101x156mm Red 2291 Pack of 1 Chartwell Watershed Waterproof Ruled Book. 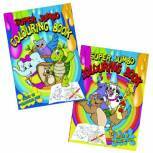 Specially designed books for the most demanding environments. 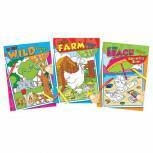 Features synthetic, tear resistant, waterproof paper, wirebound with a tough plastic cover which is impervious to water and chemicals. 101x156mm. 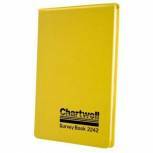 Chartwell Lined Weather Resistant Field Book 130x205mm 2026 Pack of 1 Chartwell Survey Book 5x8 Inches Field 2026 Level books have medium brown print. Field books are ruled with two red centre lines without feints. Dimension books have ruled blue lines and are numbered 1-up each opening. 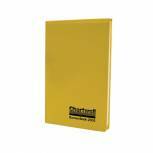 Chartwell Plain Weather Resistant Field Book 130x205mm 2006 Pack of 1 Chartwell weather resistant Field Book 2006. Features 80 feint ruled leaves with two red centre lines. 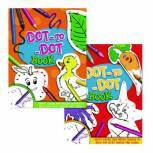 Paper is made from 50% rag bond and sewn with rot proof thread. 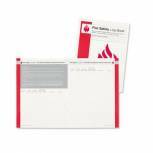 Covers can be folded flat for ease of use. Size: 130 x 205mm. 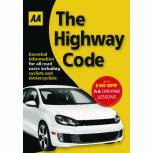 AA The Highway Code Book (AA Driving Test) 9780749552572 Pack of 1 AA The Highway Code. Fully updated and complete. Essential for all drivers. Contains driving test details, up to date rules of the road for all drivers and key information for all road users including cyclists and motorcyclists. 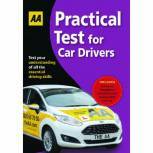 AA Driving Test Practical Book 9780749567217 Pack of 1 AA Practical Test Guide. Questions and answers for car drivers. 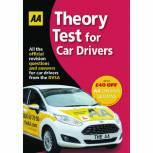 Easy to test yourself using questions set by expert driving instructors. Updated for practical test from September 2010. The key to safe and skilful driving. 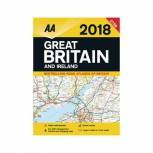 AA Road Atlas Great Britain and Ireland 9780749578633 Pack of 10 AA Road Atlas Great Britain/Ireland 2016. Britain's clearest mapping with a scale of 4 miles to 1 inch. With locations of speed cameras and limits as well as over 220 service areas and 300 caravan and camping sites. 76 pages, 38.5cm x 28.4cm x 0.3cm. 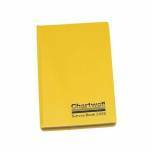 Chartwell Weather Resistant Dimensions Book 106x165mm 2242 Pack of 1 Chartwell Survey Book 4x6. 5 Inches Dimension 2242 Level books have medium brown print. Field books are ruled with two red centre lines without feints. Dimension books have ruled blue lines and are numbered 1-up each opening.